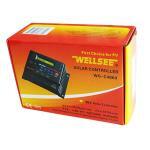 WELLSEE WS-C4860 50A 48V solar panel controller_charge regulator_Products_Physical therapy,health product,therapeutic apparatus,Electro Acupuncture,Medical Supplies are best selling on our website! 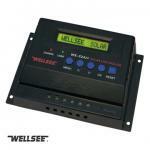 WS-C4860 type series solar panel controller (WELLSEE solar intelligent charge controller ) are of stable quality and high reliability, and can be applied under various worse geological conditions. Its appearance and function design has reached international advanced level. Depending on the types and actual charging situation of the battery,WS-C controller series (PVcontroller , solar systemcontroller ) can provide the fast and best charging voltage and electricity from the PV panel. WELLSEE solar charge controller s are equipped with advanced man-machine interactive function, so the user can adjust the charging voltage. please offer me price for one carton. pwm type, but performance is good. wellsee is a good brand. 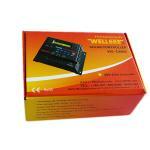 i am agent of wellsee, it is a reliable brand and partner. i will place order soon.